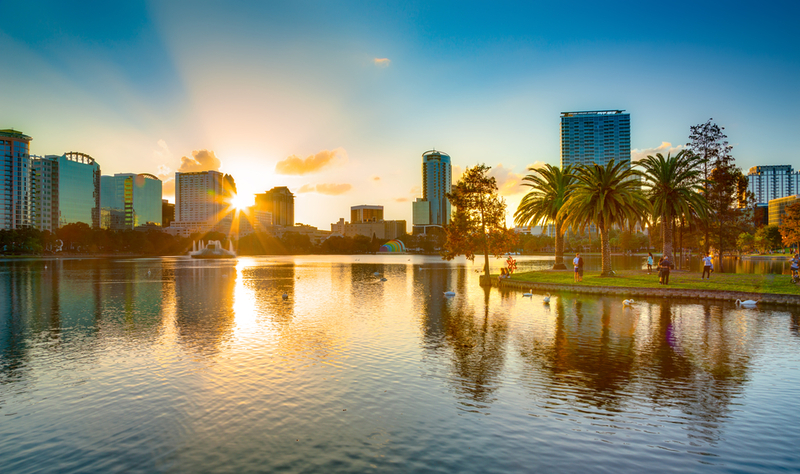 NAADAC, the Association for Addiction Professionals invites you to submit a proposal to present a poster at its 2019 Annual Conference: Navigating the Addiction Profession in Orlando, FL. NAADAC members and non-members are invited to submit poster presentation proposals for display at the 2019 Annual Conference. NAADAC encourages young investigators, researchers, and addiction professionals from diverse organizations and fields to submit. Posters will be on display during Sunday, September 29th and Monday, September 30th with presentations taking place on September 29th. The Submission Deadline has now passed. Chosen presenters will be notified by email by April 5, 2019. Posters Subject to Final Approval: Please note that all acceptances will be tentative. Digital files of completed posters must be submitted to NAADAC by July 29 for final approval. Practice Management & Technology: Health Information Technology (HIT), Electronic Health Records (EHR), Certification/Licensure, Patient Retention, Billing/Insurance, Social Media, Teletherapy, Policy/Regulatory Issues, Insurance/Medicaid Reimbursement, and Ethical, Legal, and Liability Issues. Co-Occurring Disorders: Integrated Treatment, DSM-5, Mental Health Disorders, Trauma Informed Care, and ICD 10. Psychopharmacology: Neurobiology of Addiction, Pharmacotherapy/Medication-Assisted Treatment, Opioids, Alcohol, Marijuana, Sedatives, Stimulants, Synthetic Drugs, Tobacco/Nicotine, and Designer Drugs. Clinical Skills: Evidence-based Practices, Case Studies, Relapse Prevention, Treatment Planning, Screening & Assessment, Counseling Theories and Practice Methods, The ASAM Criteria, Substance Use Prevention, and Promising Practices. Cultural Humility: Introduction to Cultural Humility, Addiction-Specific Issues Involving LGBTQ, Racial/Ethnic Groups, Gender, Spirituality, Low-Income/Homeless, and Veterans/Military. Process Addictions: Gambling Addiction, Sexual Addiction, Internet Addiction, Screen Addiction, and Eating Disorders. Recovery Support (clinical): Community Navigation, Individual & Community Capital, Family Support, and Treatment Coordination. Education/INCASE: Presentations with a post-secondary educational focus, designed for an audience of college-level faculty who are seeking to enhance the quality of training and education in addiction studies, to disseminate professional knowledge and share ideas regarding addiction studies, students and scholarship in the field of addiction studies with a creative evidence-based focus. The topics can be as broad as national policy level discussions, and as narrow as creative improvement of a single course--originality is key to acceptance. Peer Recovery (Non-clinical): Relationship-based roles of peers, peer support through a culturally-responsive lens, peer support through a trauma-informed lens, techniques for increasing self-awareness, self-care, and sustaining empathy and connection in peer support roles, and methods for incorporating organizational wellness strategies to create a holistic work environment. To be considered, presenters must have qualifications in good standing with their academic program or professional regulatory board, if applicable, and possess the technical expertise necessary to present on a subject effectively. Up to two Poster Presenters per poster will receive a $50 discount on the conference registration fee. Promotion of Poster Presenters' biographies and credentials on NAADAC's website, in the 2019 Annual Conference app, and in all relevant electronic and print maketing materials. Instead of "addict," try "person with a substance use disorder"
Instead of "alcoholic," try "person with an alcohol use disorder"
Instead of "drug/substance abuse," try "substance use disorder"
Instead of "former addict," try "person in recovery" or "person in long-term recovery"
Poster Presentation description is clearly written. Learning objectives are clearly stated. Poster Presentation is supported by evidence-based data from research or demonstrated results. Poster Presenter has sufficient experience and knowledge of the subject matter. Poster Presentation is not using stigmatizing language (as outlined above). Poster Presentation is not used to market products or services, and is free from commercial bias. The Conference Committee will rank each presentation out of ten points: three points for topic relevance; three points for a compelling description and use of evidence-based practices; three points for unique approach to/or delivery; and one point for being a current NAADAC member.